Meftune Erduyan (Mef-tune-ay Er-doo-yawn) is an accomplished artist and local resident of Izmir, Turkey. Last year she exhibited multiple shows throughout Izmir and other cities in Turkey, selling many pieces of her artwork. Along with regularly producing her own art, three days a week she teaches women to paint in many different styles. Meftune really enjoys getting to spend time with her students and believes these classes are very important, not simply because the participants learn new art techniques, but because this time spent together serves as a form of therapy for them all, she says. After her husband passed away, Meftune knew she needed to begin to focus more on her art. So, she bought an old electrician’s shop to renovate into an art studio. She began to teach classes in her new studio and has found this to be a sweet gift, as she is able to share her art, fun-loving personality, and artistic abilities with others. Some of Meftune’s students have also lost family members or are going through hard seasons in life and use the class time to decompress, talk about their experiences, and express themselves through their art. Typically lasting all day, the classes usually involve the women eating lunch together, using the time to merely enjoy each other’s company. Most of the students intentionally encourage one another as they work on their pieces and also help each other continue to grow in their practice. In Turkish culture there is immense value in taking things slowly by drinking some tea or coffee throughout the day. During their classes, Meftune and her students have tea and coffee at the ready for themselves and for anyone else who might swing by the studio. The women use this downtime to sit back and survey their creations, chatting with one another about their works in progress. Meftune is very generous to help her students and is always happy to show them new methods and techniques that allow their skills to flourish. Through art, Meftune seeks to cultivate a stress-free environment of carefree fun and creativity. Generally, the women she teaches have a blast together and love getting to spend this time with her. Meftune hopes to encourage these women to have fun and express themselves even amidst the difficulties of life. Music is a powerful thing. It’s the language of life that transcends culture and has the capacity to unite people from a variety of backgrounds and belief systems. Music greets and confronts us throughout day-to-day life in a plethora of environments and circumstances. Ayça (ī-cha), of Izmir, Turkey, has been singing since she was a young girl and especially enjoys choral singing. 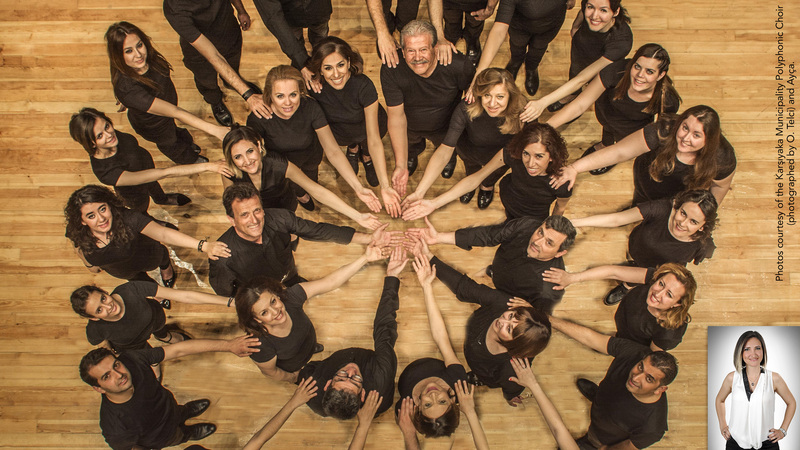 Being in a choir, with the close-knit community and opportunity for artistic expression it affords, helps this practicing lawyer escape the daily stresses of life and further explore and enjoy the cultural diversity of the seaside city of Izmir. Listen as Ayça shares how her local choir encourages and promotes diversity, unity, and joy in the city she loves. 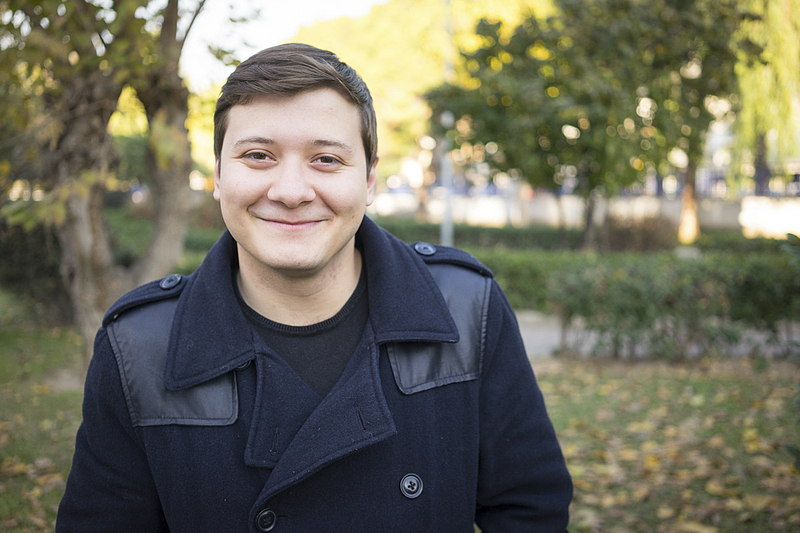 Serkan was born and raised in Izmir, Turkey, where he grew up in a carpet store that his dad owned. Along with his two brothers, Okan and Hakan, Serkan started learning about the Turkish carpet business at a very young age. Serkan and his brothers have taken over their father’s business and have continued working in it for over the past 30 years. One of Serkan’s main jobs is to restore old carpets. Once he and his brothers find and gather these antique carpets from all over the world, Serkan mends what needs mending and cleans the carpets to make them ready to sell. When Serkan is not working on carpets his time is spent seeking to sell them to both wholesalers and retail buyers strolling by their shop. His collection of antique carpets is varied and vast and grows daily. The carpets are all handmade and dyed with natural dyes. A remarkable amount of detail goes into making these handmade carpets. Some of them take years to complete, even with full-time attention. Each carpet comes with a unique story that these brothers love relaying as they show the carpets to their customers. If a carpet’s condition is too poor to sell Serkan cuts it up, using it to make pillowcases. These pillowcases have become the brothers’ number one seller. According to the brothers, very few customers walk away from their shop without at least buying one pillowcase. Though Serkan travels many months a year selling antique carpets with his brothers, he stays in touch with his young daughter and wife via video chat. Due to the success of the family business, Serkan has been able to put his daughter in one of the best schools in Izmir—something that gives him great pride. Many people throughout the world have a go-to breakfast each morning. For some it is bagels; for others, croissants. But in Izmir, Turkey, you cannot have breakfast without gevrek, a pretzel-like bread that is topped with sesame seeds. Hüseyin (hü-say-ēn) is one of Izmir’s many gevrekçis (gev-rek-chēz), one who sells gevrek. Many people throughout the world have a go-to breakfast each morning. For some it is bagels; for others, croissants. But in Izmir, Turkey, you cannot have breakfast without gevrek, a pretzel-like bread topped with sesame seeds. In certain neighborhoods throughout the city of Izmir one can hear the gevrekçi (gev-rek-chē) coming down the street multiple times a day, yelling, “Gevrekçi ; sicak (sə-jük), sicak,” which translated means, "Gevrek seller; hot, hot." Hüseyin (hü-say-ēn) began selling gevrek 17 years ago and has made quite the living for himself in this profession, he says. As Hüseyin passes apartment buildings on his bicycle cart, which is full of Turkish breakfast essentials (gevrek, boyos (a croissant-like pastry originating from Izmir), cheese, and boiled eggs), customers yell at him from their apartment windows and balconies. Many of Hüseyin’s customers live on upper floors with no elevator access. Therefore, they often lower down a basket or bag that is connected to a rope in order to purchase and obtain their breakfast. Customers yell out their order, and Hüseyin begins to bag up the items. As Hüseyin prepares an order in the street, he is always looking for his next sale as people pass by. As a customer lowers down a basket with money in it, Hüseyin exchanges the money for the food. In Turkey and other parts of the Middle East, though gevrek is eaten throughout the day, it is a must-have for breakfast. The process of using a basket to make exchanges is used often in Turkey. If an order can fit into a basket, it will be delivered—whether it be gevrek, dinner, or drinks. Even couples might use a basket to send down something their spouse forgot upon leaving the apartment. Each day, Hüseyin usually sells around 300 gevrek, 70 boyos, 50 pieces of cheese, and 70 boiled eggs. He buys his fresh, hot gevrek from a local bakery twice a day: once in the morning and once in the afternoon. Hüseyin makes his rounds throughout the same few neighborhoods seven days a week. Saturdays are his most lucrative day. On Sundays, he takes half the day off, as many Turks go out on Sundays. Hüseyin makes seven to ten rounds through this particular neighborhood (pictured) daily. Bülent is a larger-than-life small business owner in Izmir, Turkey, who sells local fruits and vegetables at the local market (pazar). Throughout Turkey there are open-air markets that pop up all over the city, selling anything from fresh fruits, vegetables, and cheese, to clothes, household items, and anything in between. The Bostanli Pazar (market) is the largest in the city of Izmir and opens for only one day each week: every Wednesday from 7 o' clock in the morning until 8 in the evening. Bülent (left) and three of his eight siblings, including his brother Levent (in blue), own three stands at the Bostanli Pazar (market), selling local, seasonal fruits and vegetables. As shoppers pass by, they are able to taste any of the produce before buying. The western region of Turkey where the seaside city of Izmir is located is known for some of the most flavorful produce in the world. All the pazar workers are like family because most of them, life Bülent (left) and his brother Levent, have been working at the market for decades. Bülent and his family have owned their business in Izmir since they migrated from Macedonia when he was 10 years old. There are more than 100 areas of the city where Bülent and his siblings negotiate to find the best goods to sell each day. Bülent travels with his family to different parts of the city five days a week to set up shop at different markets with the freshest produce they can sell. With every passing hour the produce gets picked through, and many of the prices lower significantly. This is when most of Izmir's residents come out to shop for the best deals. Bülent is jovial and kind. He clearly loves his job and enjoys interacting with people throughout the pazar (market). He is pictured here with his sister Melahat. As the day moves from morning to afternoon the market gets busier, and Bülent spends his time switching between the three family stands to offer help where needed. Now in his 60s, Bülent still takes pride in his work after laboring 50 years to help provide for his family. As many families living in Izmir, Turkey, enjoy their summer evenings by the seaside, they encounter many activities demanding their attention and wallets. For example, they can eat roasted corn, buy toys for their children to play with on the nearby hillside, or even shoot balloons on the sea. Yes … shoot balloons. For Muslims around the world and in Turkey, Kurban Bayramı (known as Eid al-Adha, or the Feast of the Sacrifice, in the Arab world) is one of two major religious holidays they celebrate each year. This year, Islam’s foremost festival begins today, in the evening of Thursday, August 31, and runs through Monday, September 4, 2017. Çetin and his family raise animals all year long that are sold just for this holiday. Çetin and his family are from the eastern Turkish province of Ağrı. This province is known for the great quality of meat that comes from the animals they raise. Every year about a month before the holiday, Çetin and his family load up around 250 cattle and 100 rams in very large trucks to be transported to the large city of Izmir. In the center of the metropolis of Izmir one can find the largest animal market in the city during the holiday season. Çetin's nephew Orhan is in charge of selling the rams. Since rams are a smaller animal, they are typically bought and sacrificed by a single family. Cows are the largest animal that can be purchased, and they are usually bought by three to seven families who put their money together. After they sacrifice the cow the families will divide the meat evenly. Anywhere from a month before to the day before the holiday begins, families come to the market to pick out an animal. Once they take it home they feed and take care of the animal until the first day of the holiday, known as the day of sacrifice. This is the day they sacrifice their animal. They believe this sacrifice will cover a year of sins that they have committed. After the meat is sliced and divided, as a tradition they give some of it to five different neighbors. They freeze the rest for winter. Çetin and Orhan bring six shepherds with them from Ağrı to take care of the some 350 animals awaiting sale. At the end of this holy holiday Çetin and his family make the long journey back to the east with enough money in their pockets to last a year. American sitcoms first turned Meriç, a Turkish college graduate, on to life in the United States when he was a teenager. A trip to New York a couple summers ago further piqued his interest in the American Dream shared by many worldwide. Even given the current political climate in the U.S., Meriç keeps hope that he will one day be able to live out his dream on American soil.